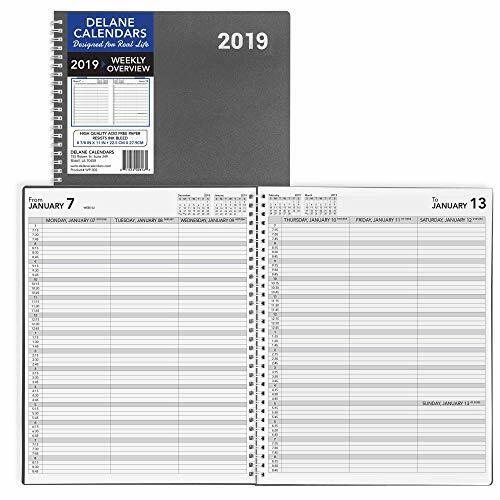 The Delane daily and weekly planner helps you stay organized and manage appointments with ease. Practical daily and weekly overview with enough space to fit as much detail as needed into each day of the month. Ideal for office, home, school, work, university etc. Never again miss an important appointment! 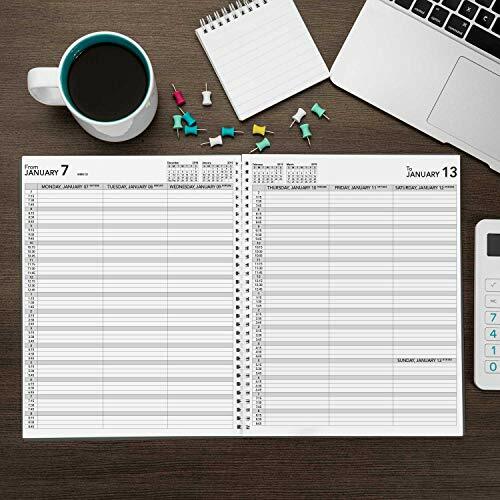 The ideal daily, weekly and monthly planner to keep your life and work organized with ease. 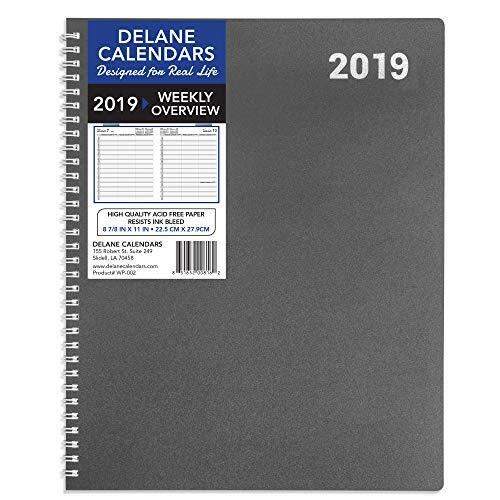 Click “Add to Cart” now and order your 2019 planner today! ORGANIZE YOUR APPOINTMENTS WITH EASE – Jan. to Dec. 2019, 2-page weekly layout. 15-minute times. WRITE ON ACID FREE HIGH-QUALITY PAPER – Premium paper resists ink bleed, helps to write with ease. THE PERFECT SIZE – 8.5 x 11 Appointment Book Weekly Planner with strong poly cover. Rigid yet flexible. 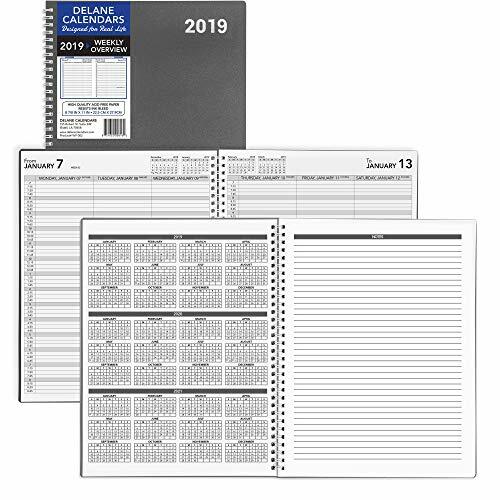 BONUS PAGES INCLUDED – 2019 Full Year, 5 pages for notes/phone numbers, 2019-2021 overview page. RISK FREE PURCHASE – We stand by our planners and customers with our 100% money back guarantee.